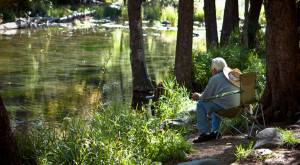 The winter is proving to be a warm one and if you enjoy spending time in the outdoors, you’re probably looking for things to do. 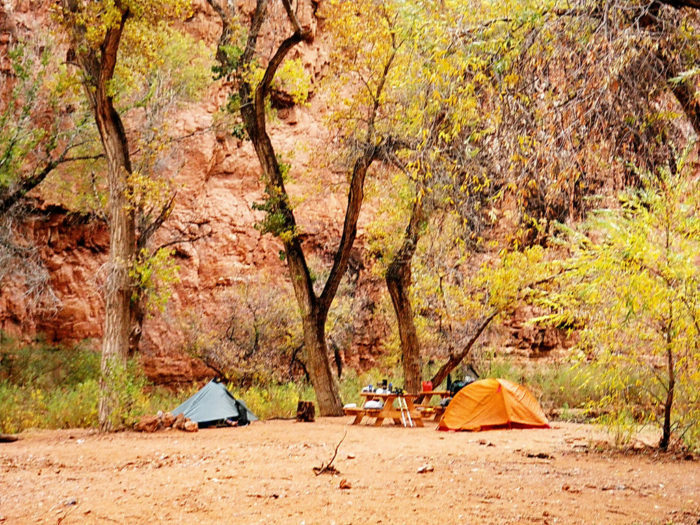 If hiking and camping sounds like your cup of tea, then we think you’re going to love this one campground. 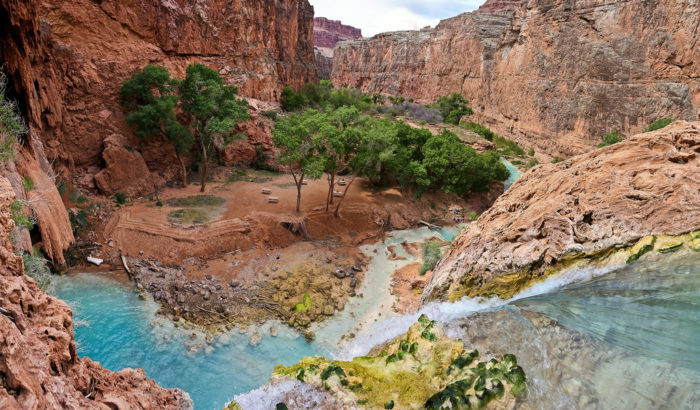 By now, you’ve probably heard of the impressive Havasu Falls hidden within the Grand Canyon. This little oasis has grown incredibly popular in recent years and you can actually camp just a short distance from the falls! 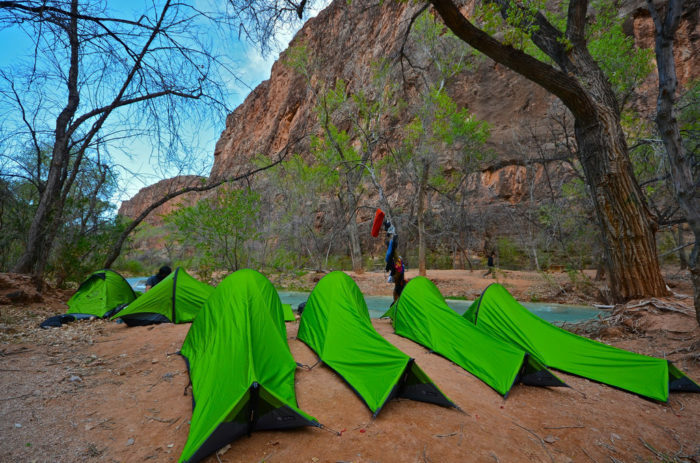 Two campgrounds are located on the trail that follows Havasu Creek, sitting in between Havasu and Mooney Falls. 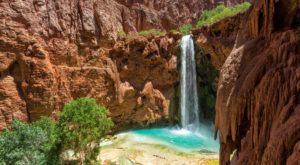 Havasu Falls and the nearby campground is located about 2 miles from Supai and 10 miles from the trailhead at Hualapai Hilltop. 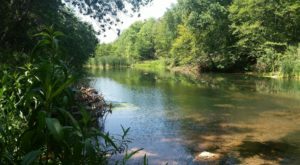 You’ll find the area is beautiful, with trees shading the area and the milky blue-green creek waters flowing nearby. Can you imagine waking up right here after a day of hiking? It looks divine! 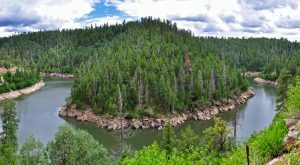 Permits for camping and hiking in 2018 recently went on sale for access from February 1 through November. 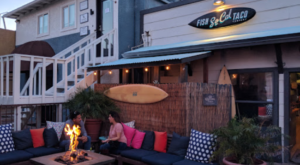 If you’ve been here before, you’ll notice the prices increased from previous years, in response to the location’s huge popularity. However, we think the price is worth it! 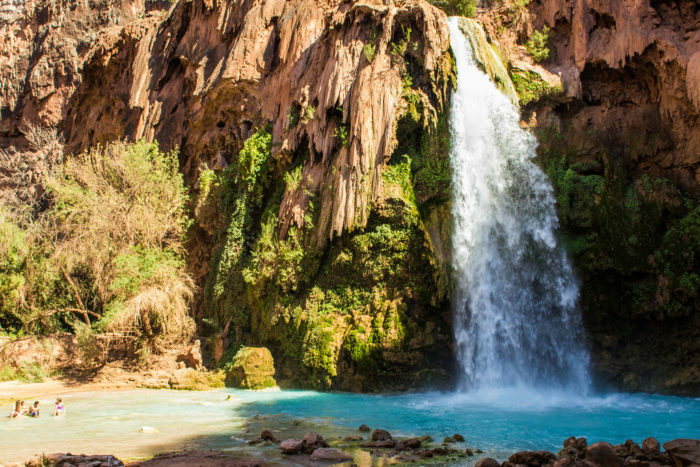 Do you plan to visit Havasu Falls this year? Let us know your plans and what your experience was like if you've been there before! 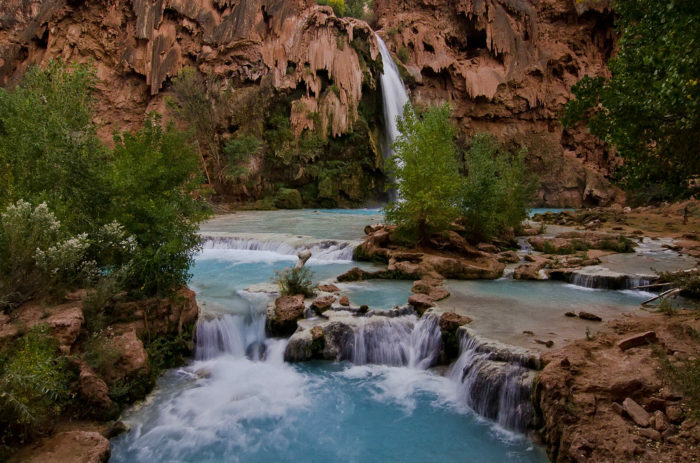 You can learn more about obtaining a permit to visit Havasu Falls by visiting the Havasupai Tribe website. 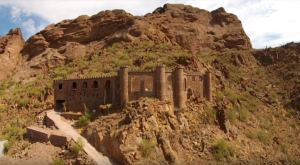 Keep in mind that this location is extremely popular and reservations may sell out quickly. 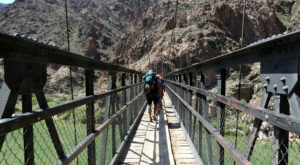 Want to check out another amazing little spot hiding in the Grand Canyon? 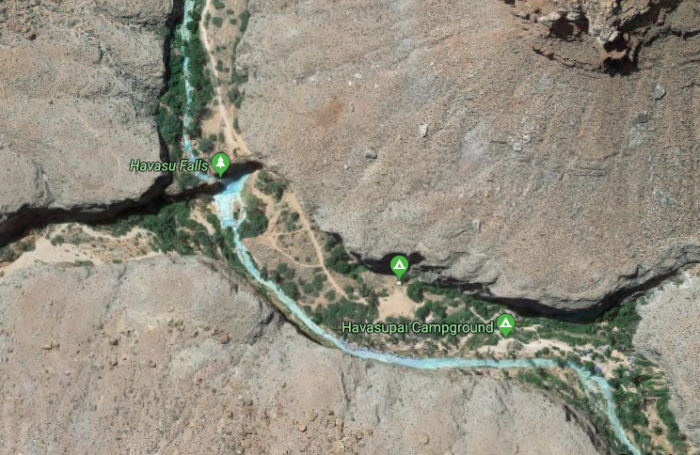 Read about Elves Chasm in This Little Known Natural Oasis Is Hiding In Arizona…And You’re Going To Love It.